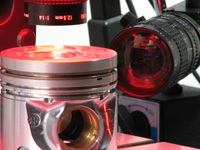 Machine Vision quality systems are commonly implemented when the variance of production process is difficult to constrain and at the same time high quality and productivity is required (e.g. pharmacy, automotive, electronics, etc.). 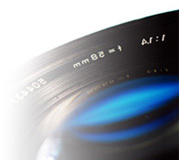 Cameras, optics and illuminations, together with software for image analysis and feature classification are used for 100% quality control and zero-defects assurance, replacing human visual inspection. the production environment is polluted by cutting fluids. Apart from the above, the inspection system must guarantee examination reliability, robustness, real-time operation and be acceptable from economical point of view (Return on Investments). Our Machine Vision Team is focused on research & development of new methods, technologies and devices for optical measurement or inspection systems for quality assurance. We believe that the combination of our motivation, knowledge, creative ideas and laboratory equipment can generate valuable solution also for you. Please have a look at our competences.